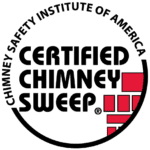 At Patriot Chimney, we strive to provide your commercial exhaust system with a detailed inspection and replace your exhaust fan belt when it becomes necessary. It’s normal for exhaust fan belts to have wear and tear, but it’s important to have them and the rest of your commercial kitchen ventilation system inspected to prevent your belt from breaking and compromising your entire system. Belts that have visible cracks will break in a short matter of time, which will result in the disruption of business operations and require expensive emergency repair services. Our extensively trained team of professionals can inspect and replace your exhaust fan belt at appropriate intervals so you never have to worry about your exhaust fan failing you. Patriot Chimney understands the important role that commercial kitchen’s ventilation system plays, which is why we make sure to perform a thorough inspection upon arrival for every service.